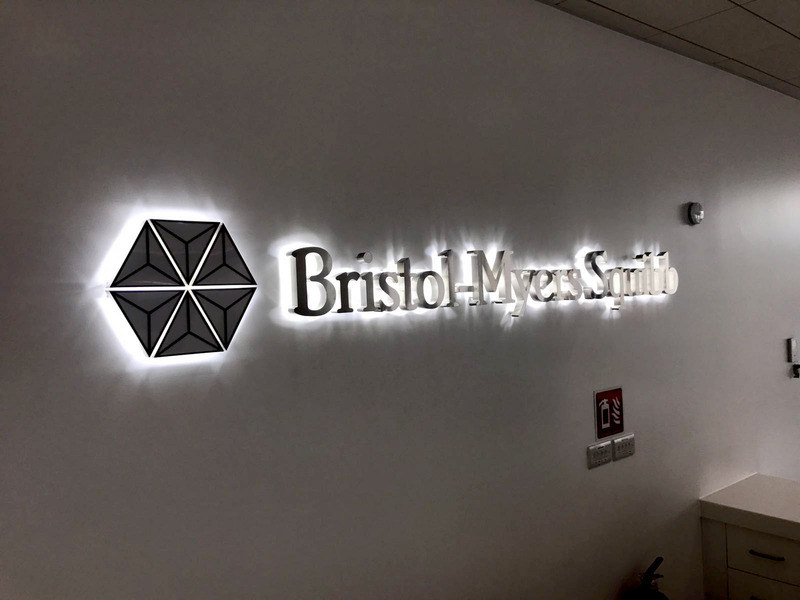 Bristol-Myers Squibb chose Vision to communicate their brand culture in their new state of the art office spaces based in Ireland. 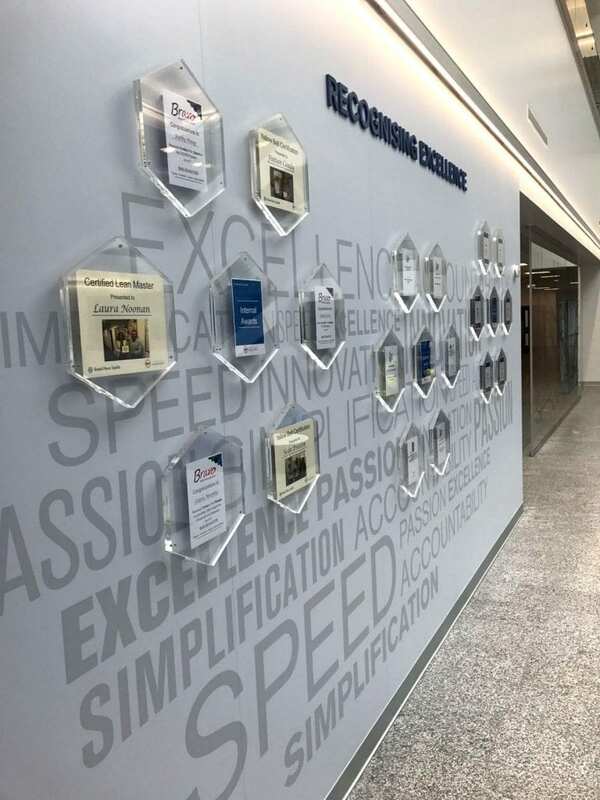 The company's brand values and vision are based on the goal to discover, develop, and deliver innovative medicines that help patients prevail over serious diseases. Our design team and the architects in charge of the project decided to use Wall graphics, bespoke signage, a corporate timeline and feature walls. 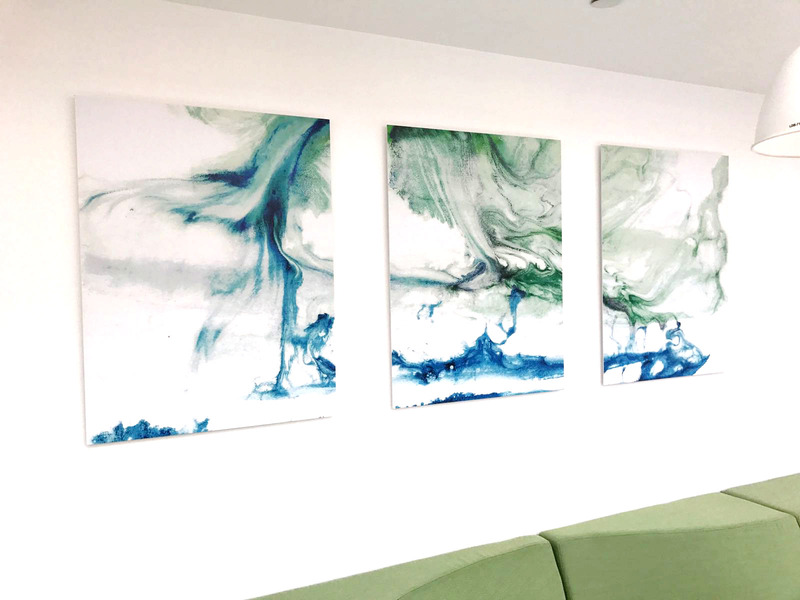 The brief was to create a space for their employees to enjoy and help motivate them. The space had to tell a story of their his­tory and express the company’s values. For their office space, our team designed environmental solutions that were practical, inspiring and innovative. 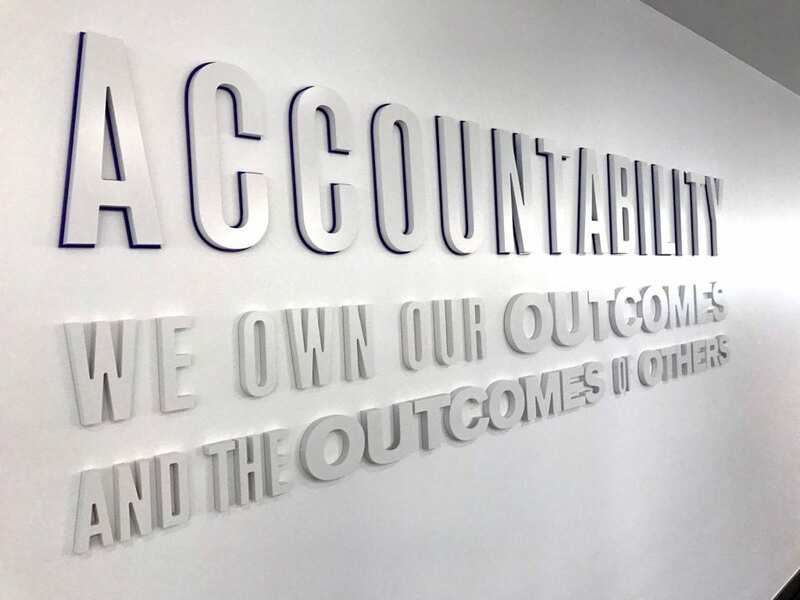 Similar to the core values at the heart of BMS. 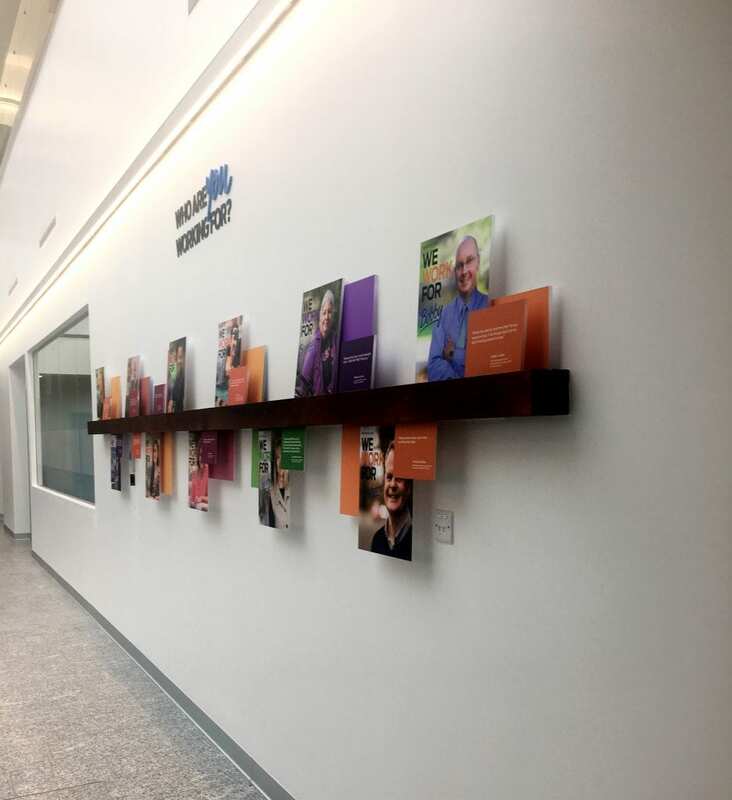 To evoke inspiration and to motivate the employees within BMS we included wall graphics, bespoke signage, a corporate timeline and feature walls. 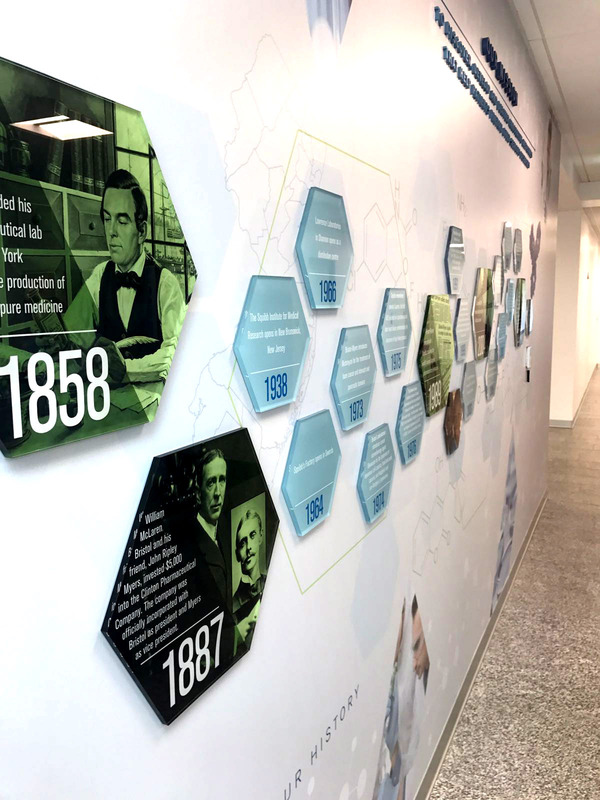 We created a corporate timeline and bespoke feature walls exhibiting their patients stories, both of which can be easily updated to showcase their ever expanding body of work. 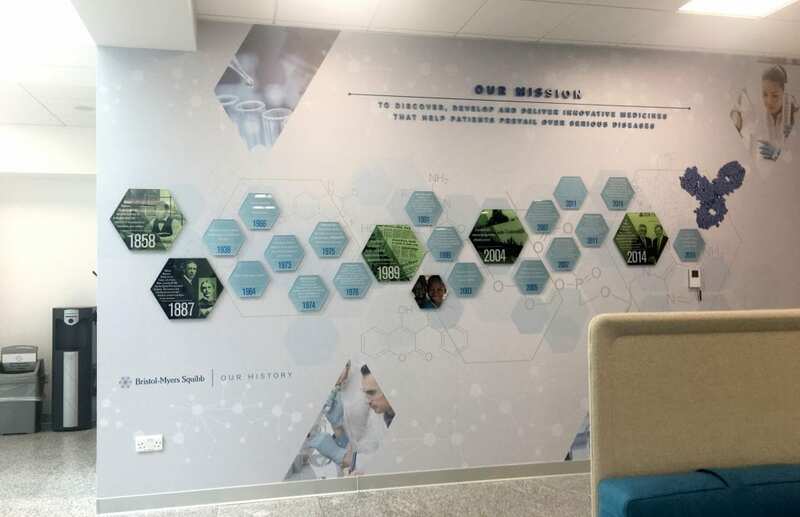 Our mission in every branded environment project is to design a solution that reflects the company’s brand’s DNA rather than our own style and preferences. That’s why we closely collaborate with our clients from the very start, to gather as much information as possible about their business. 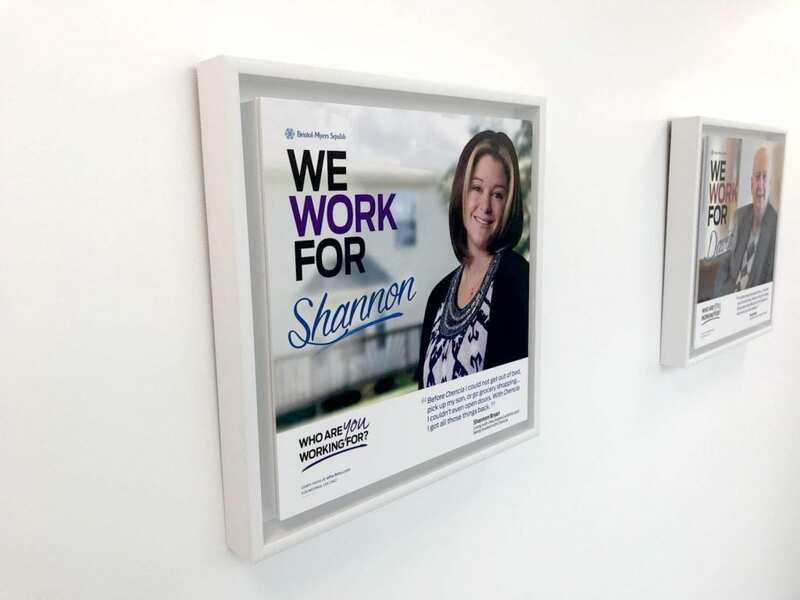 Thanks to this approach we have helped BMS and many more companies in creating an inspiring working environment where employees feel part of a strong brand culture and a unique mission. Book a free consultation now and see how your brand can stand out in the office.